In case you haven’t heard, this year’s Great Backyard Bird Count (GBBC) took place this past weekend. The annual four-day event encourages bird watchers of all ages to count birds in their own backyard. The goal: To create a real-time snapshot of where the birds are across the continent. If you missed the big event, don’t worry! You can go bird watching with kids in your backyard anytime. If you’re anything like I was when I first started paying attention to our feathered neighbors, you haven’t the slightest idea exactly how one goes bird watching – especially with kids. Lucky for you, I’ve got some experience under my belt. That and a little help from my friend and fellow blogger, Michael, from Exploring Portland’s Natural Areas. Together, we’ve come up with a few ways to make the most of your backyard bird watching experience. 1. Create a bird-friendly backyard. It doesn’t take much to make your backyard a place birds will want to visit. 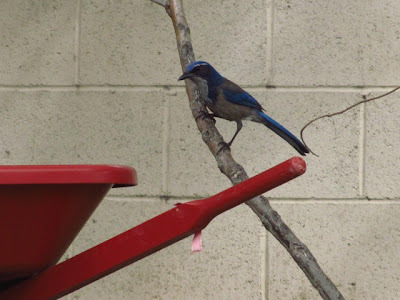 We hang bird feeders and have a birdbath, both of which we clean and refill regularly. 2. Learn what birds live near you. Certain birds will frequent your yard regularly; others seasonally. To learn what birds are native to your area, invest in a field guide. You can check out a few different guides from your local library to find the one that’s right for you. You can also use an online guide, like the one created for use during the GBBC. My kids love having their own bird watching tools, including binoculars, a notepad and a field guide – even if they don’t actually use them. They also enjoy snapping pictures, which come in handy for making identifications later. 4. Know where to look. You might be tempted to stare at your bird feeders. Don’t forget to check the trees, along fences and in bushes. We discovered nearly 20 house sparrows we could only hear until we came right underneath the tree they were in. We do our best identifying by sound rather than sight. That’s because we’ve spent loads of time just listening to the chirps of our backyard birds. The result is that we can spot hummingbirds sight unseen. And out-of-place calls signal us to head outside to see who’s around. 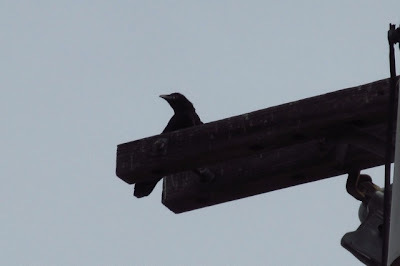 We’ve seen a group of crows chase off a wayward hawk and welcomed a solo Western scrub jay. 6. Keep watch from indoors, too. This is especially helpful for younger kids who may have trouble keeping quiet outside (ahem, like The Little Explorer …). Hang bird feeders and birdbaths close to windows for better viewing. And have the binoculars handy. 7. Don’t worry if you don’t know a bird’s name. What’s important is that you can recognize it if you see it again another time. Ask kids to spot the color of a bird’s beak and feet – both key details in identifying birds. You can look these up later to determine what you might have seen. 8. Record what you see. And not just during the GBBC. Neither Michael nor myself keep tallies of the numbers of birds we see, but we do record what we’ve seen. The Big Explorer even created his own bird book for just that purpose. And Michael’s 5-year-old son Patrick had a great time writing down the names of the birds himself, since he’s learning to read and write. This is the single most important tip for bird watching with kids. It’s my goal whenever we see birds, in our backyard or elsewhere. Follow your child’s lead and enjoy yourself. What advice would you add to make the most of backyard bird watching with kids? Turkey vultures? That&#39;s so cool, Traci! Nice list, Debi! It can be surprising what birds live nearby. We have over 50 turkey vultures living in our trees across the street. Thanks for sharing the info, Jeff! I&#39;ll have to check it out. Another great resource for citizen science is ebird.org. Same general concept of the GBBC, but year round. You can also access data to see what is in your area.